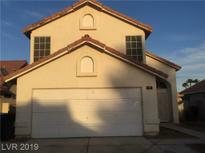 Below you can view all the homes for sale in the Sunrise Valley subdivision located in Las Vegas Nevada. Listings in Sunrise Valley are updated daily from data we receive from the Las Vegas multiple listing service. To learn more about any of these homes or to receive custom notifications when a new property is listed for sale in Sunrise Valley, give us a call at 702-323-5986. Beautiful pool and spa ready for the summer. MLS#2081622. Platinum R.E. Professionals. Block Wall around. No HOA. Easy for showing. MLS#2080461. Real Estate One LLC. All tile floor downstairs, separate living and family room, extensive use of ceiling fans throughout, fireplace, vaulted ceilings make this home feel open and bright, water heater about a year old, newer microwave, functional kitchen with tile backsplash, French doors that open to a covered patio, deck and sparkling pool, this is a must see! MLS#2076854. Hudson Real Estate. Agent and Buyer to verify all measurements. MLS#2077127. Coldwell Banker Premier. One Story 3Bd 2Bth- Functional Layout- Fireplace- Kitchen with Granite Countertops- Backyard Patio- 2 Car Garage- Schedule Showing Today! MLS#2077010. Keller Williams Market Place I. Walking distance to Mendoza elementary, grocery store, churches, bus stop, and more. Status updated daily. MLS#2076791. RE/MAX CENTRAL. Home sits on an oversized back yard. MLS#2074650. Signature Real Estate Group. Do Not Miss Out On This HOME! MLS#2072767. Rossum Realty Unlimited. 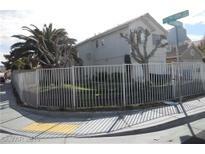 Easy location near shopping, schools, freeway access and entertainment. MLS#2070092. Resolution Realty. Split living room and family room, 2 car driveway, living room vaulted ceiling. MLS#2055679. Forever Home Realty. Two stories, three bedrooms, 2.5 bathrooms, two car garage, formal living room, separate family room, dining area large backyard, corner lot, MLS#2047944. Xtreme Realty. The One Down Is A Room Addition (mother In Law Quarters) With 3/4 Bath, Covered Patio And So Much More. MLS#1984768. Phil Am Realty.